Impressive showcases win awards with their creativity, artistry and holiday cheer. 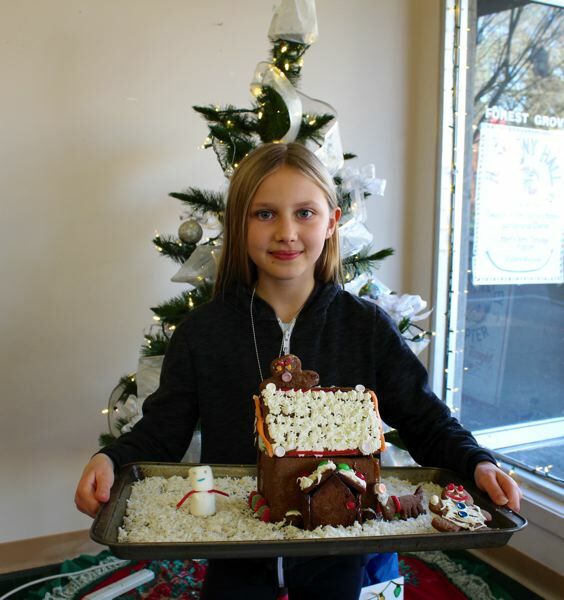 If there's one takeaway from the News-Times and Hillsboro Tribune's gingerbread house contest, it's that we have some talented candy artists and cookie architects here in western Washington County. 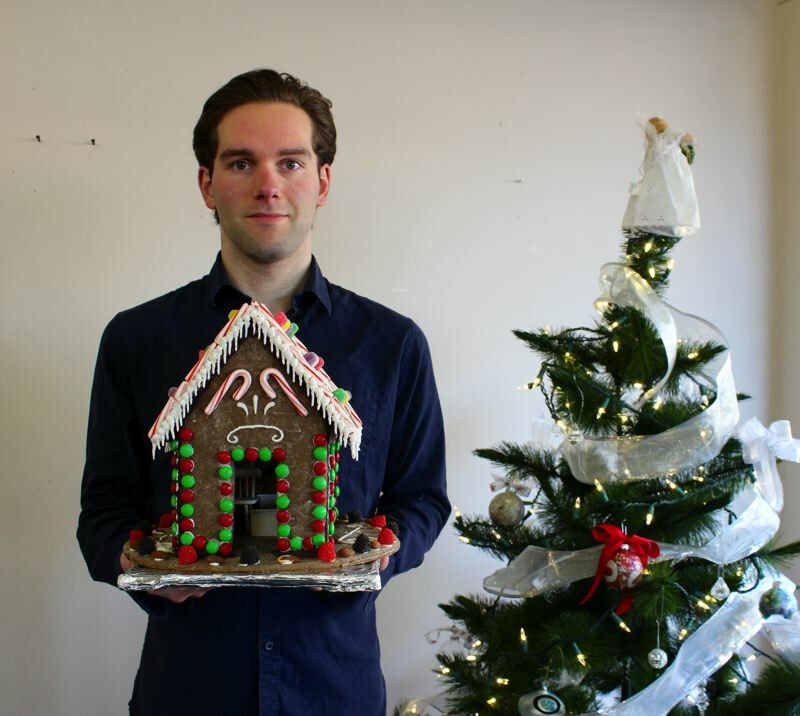 Not everyone who submitted a gingerbread creation built a full house. 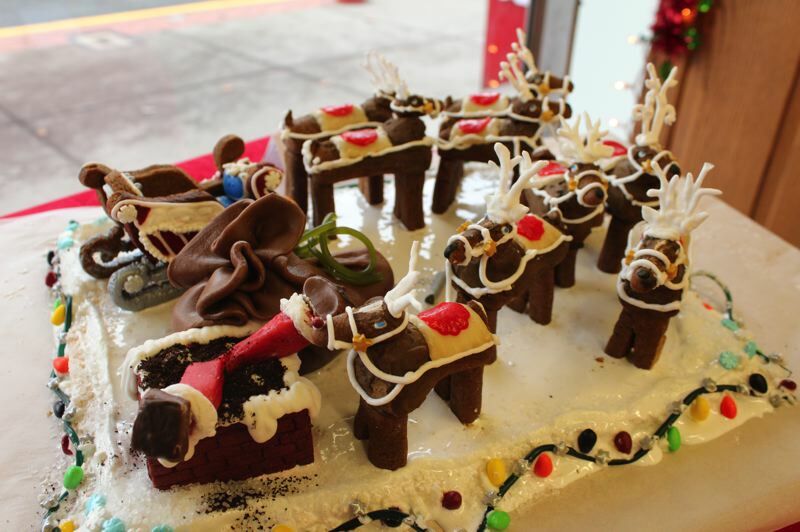 In fact, the winner of the adult division, Mayme Seaton, chose to depict a snow-covered rooftop — complete with sculpted gingerbread reindeer and a sleigh. A certain red-suited individual's legs and feet can be seen sticking out of the chimney. Hopefully he didn't get stuck! Brother and sister Calvin and Sadie Gunther won the teen and youth divisions, respectively. Calvin's gingerbread house is studded with M&Ms and Frosted Mini-Wheats. Outside, a gingerbread man appears to have met with an unfortunate accident, as one of his legs has been severed. A malevolent frosted snowman looms over him with an evil grin, leaving little mystery as to the source of the gingerbread man's woes. The marshmallow snowman and gingerbread man — along with a little gingerbread dog — outside Sadie's house appear to be having a better time, although the candy face of another gingerbread man on the roof is arranged in an angry expression. Uh-oh. Both of the Gunther siblings used shredded coconut as the snow around their gingerbread houses. 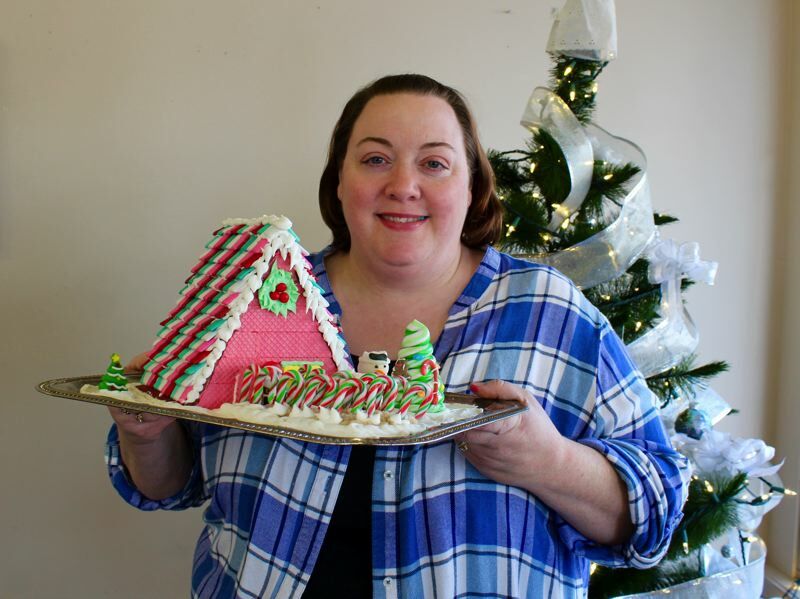 Laura Branda won the coveted Reader's Choice award for her unique gingerbread house. The house's siding is strawberry sandwich wafers, with Chiclets providing the shingles on the A-frame roof. A walkway of Rice Krispies treats and miniature candy canes leads up to an open front door, from which a friendly Santa Claus waves. Pirouette cookies make up a stack of firewood, a spiral of spearmint candy cane forms a Christmas tree, and marshmallows and frosting are used for a little snowman. Branda and Seaton have both earned $25 gift certificates to downtown Forest Grove's Valley Art Gallery, all the better to foster their creative inclinations. 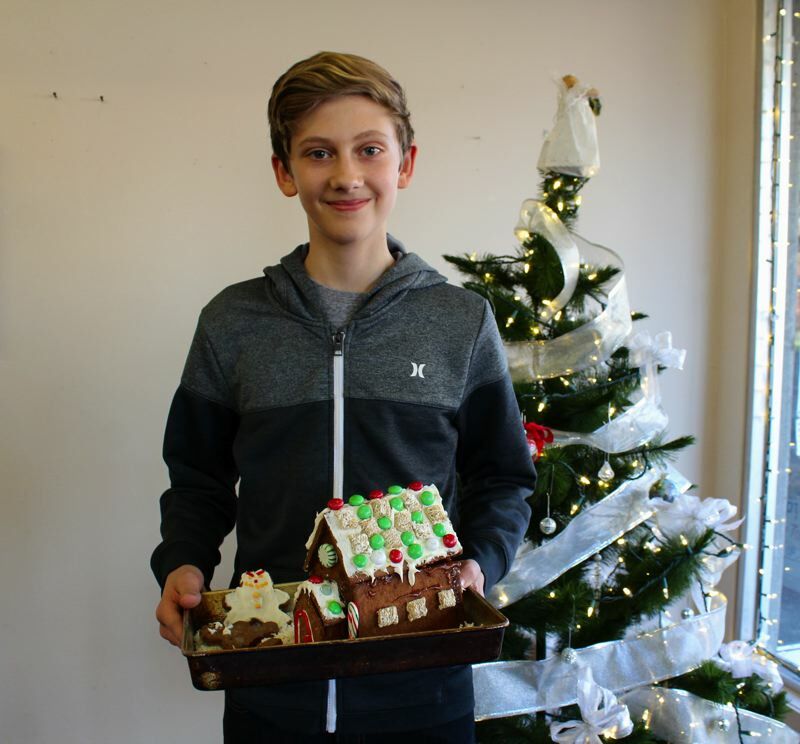 Calvin and Sadie Gunther, as well as adult division runner-up Dashiel Penfield — whose gingerbread mansion was by far the largest of this year's entries — receive $15 gift cards for Pizza Schmizza.